On a whim one weekend, I decided to play around with my favorite watercolors and created this page. It started with the flowers and then I wrote in the message, "Let yourself rest". I really wanted it to serve as a reminder to slow down and relax. The process of creating it was really therapeutic for me and then after sharing it on Instagram, it seemed like there were so many of you who enjoyed seeing this reminder we all need to take part in every once in a while. In collaboration with Avery, a company which you probably already use and love, I created stickers to easily be put on teacher gifts. There are free downloads below for you so you can make them too! Avery Design & Print Online makes it super easy to create custom designs you can print at home. It's completely free to use and offers a selection of pre-designed template to customize. You can also choose to start from scratch and import your own images onto any of the templates. The easiest way to get started at Avery Design & Print Online is to enter your product number. In this case it was 22817 - Print To The Edge Round Labels. Creating a free account allows you to save your projects and access it from any computer. It was really intuitive and easy to navigate with the custom design. There's even an option to have them professionally printed which would probably make sense if you're ordering a lot of a particular design. The best setting to use for these round labels for my printer was "labels" and I love the results on the glossy surface. The quality is awesome, the stickers look sleek and not at all like they were printed on a home inkjet printer. I got this method candle and also a small glass jar from the dollar spot at Target. 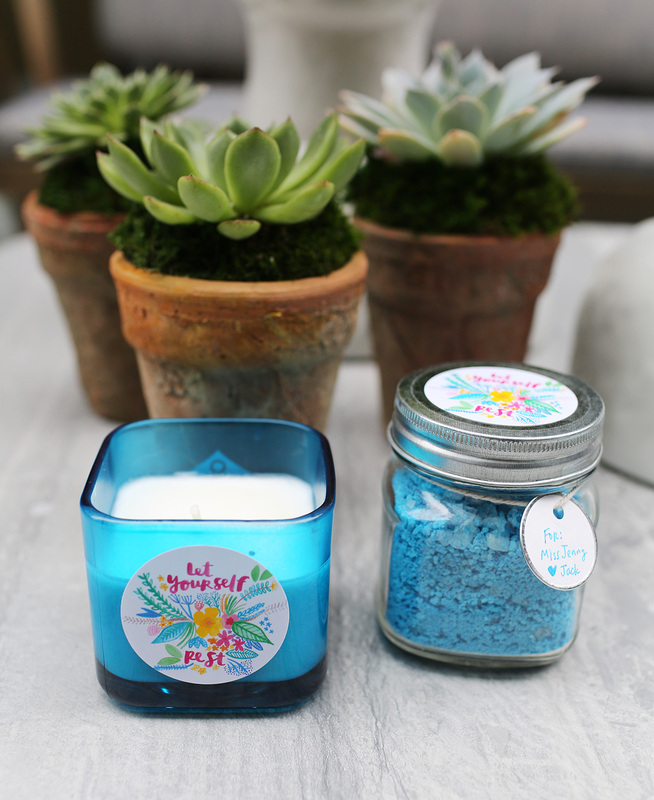 The glass jar can be filled with bath salts, or treats, or foot soak like I used. On one side of the Avery key tag, I wrote the scent of the foot soak, and on the other, the name of Jack's teacher and signed it for him. You can also see how the DIY all came together in this video. These would make great gifts for teachers, moms to be, or anyone really! Thanks to Avery for sponsoring this post. 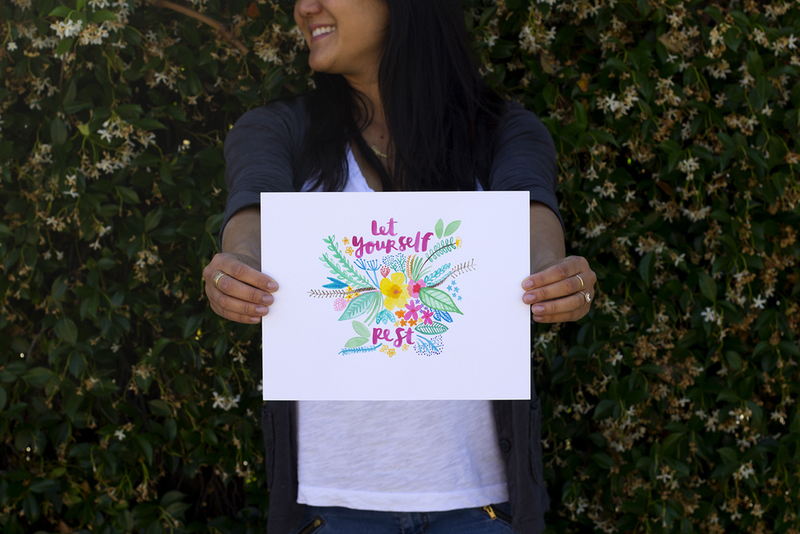 You can find the free Let Yourself Rest printable and digital downloads below. If you happen to use these, please use #fangerine and #amytangerine - would love to see the projects on social media.